This was a scene from a city park in Santa Fe where we spent the December holidays in 2017. I was fascinated by the mounds of dried chamisa everywhere. 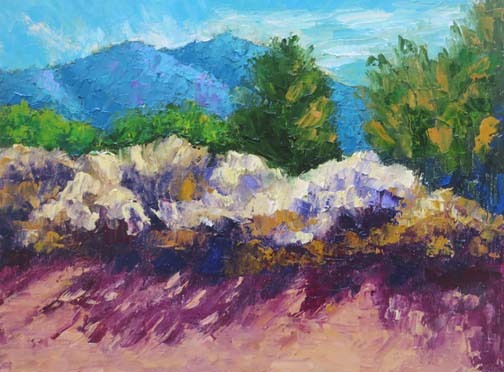 The yellow of the chamisa and the purple shadows create a lot of visual vibration.